Using a dough hook in a stand mixer, combine the warm milk, yeast, sugar, salt, butter, and egg on low. Once the flour is incorporated, turn mixer to medium speed. Add more flour if necessary. The dough should be soft and sticky but pull away from the side of bowl. Transfer dough to a large lightly greased mixing bowl, cover, and let rise for 1 hour. Roll dough out to a 12x18 inch rectangle. Brush the dough with the ¼ cup melted butter from the filling. Sprinkle mixture over buttered dough. Roll up tightly lengthwise to make one long roll. Use thread to cut dough into 12 (one inch) slices. After pulling rolls out of the oven, beat together glaze ingredients. Add additional milk for desired consistency. 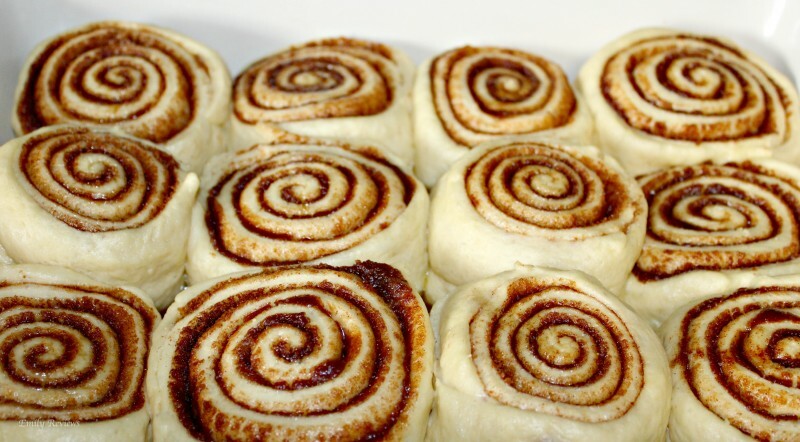 Frost the rolls while still warm and serve.